Recognized as one of the most innovative musicians of his generation, Humberto Ramírez grew up surrounded by the music of Miles Davis, Thelonious Monk, John Coltrane, Lee Morgan, Tito Puente, Tito Rodriguez, Cal Tjader and Machito. His father, a saxophonist and conductor, encouraged him to take up the “flugelhorn” at 11. At 14, Humberto played with his father’s orchestra. Also, he took orchestration courses with the bassist Inocencio “Chencho” Rivera. At 18, after graduating from the San Juan Free Music School, his interest in composing and arranging music motivated him to enroll at Berklee College of Music in Boston, where he earned his bachelor’s degree in music. In 1985, and for four years, Humberto worked with the orchestra of Willie Rosario. In 1989 he became the musical director for Tony Vega. His ability as a producer and arranger led him to collaborate with great figures of music. In 1999 he assumed the musical direction of merengue star and tropical music Olga Tañón. 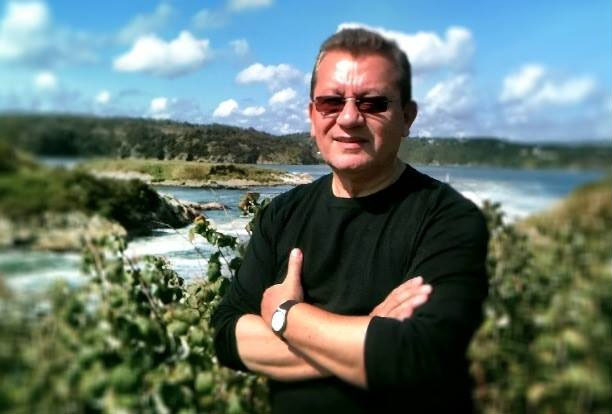 His work as a producer, arranger, composer and director for artists of tropical music such as Willie Colón, Gilberto Santa Rosa, Marc Anthony, India, Domingo Quiñones, Lourdes Robles, Rubén Blades, Brenda K. Starr, Tito Nieves, Víctor Manuelle and others , has established him as one of the most active arrangers and producers in the industry. Humberto’s dream was always to develop a career in Jazz. 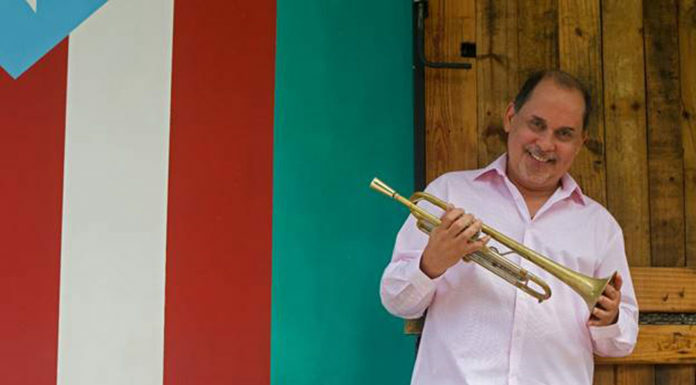 In 1992, Humberto Ramírez made his debut as a group leader in his first production for the Tropijazz label entitled “Jazz Project.” Since then he has shared the stage with important jazz musicians such as Freddie Hubbard, Justo Almario, Alex Acuña, Chick Corea, McCoy Tyner, Gonzalo Rubalcaba, Tito Puente, Hilton Ruiz, Michel Camilo, Herbie Hancock, Eddie Gomez, Michael Brecker, Paquito D ‘Rivera, Chucho Valdés, Ray Santos, Gato Barbieri, Terence Blanchard and Herb Alpert, with whom he recorded the album “Passion Dance”. His music has received excellent reviews from prestigious publications such as Down Beat, Jazz Times, Jazziz, Latin Beat, CD Review, Hispanic Magazine, New York Daily News, The Plain Dealer, Miami Herald, The Boston Globe, and Austin Chronicle. Since the release of his first record, Humberto Ramírez has established himself as a significant exponent and promoter of Jazz in Puerto Rico. He has recorded 26 albums in which he has experimented with many formats: duets, trios, quartets, quintets, sextets, octets and Big Bands. His collaborations with the group Rumbantela and with the queen of the “filin,” Lucy Fabery have received great praise from the critics. In 2005 he founded his own record label, Nilpo Music and last year he presented his own Jazz Festival: Puerto Rico Jazz Jam marking a new stage in his musical career. Humberto Ramírez has received 4 Grammy nominations as a producer. His first nomination was for the album “Nueva Cosecha” by Willie Rosario in 1985, followed by “Made in Puerto Rico” by Willie Colón in 1993, “Tony Vega” in 1996 and “Olga Viva, Viva Olga” by Olga Tañón, who won the Grammy Award in 2000. In 2013 he was nominated for the Latin Grammy for his album Sentimentales with Lucy Fabery. Among the awards he has received are 6 Platinum albums, 12 Gold albums, 4 “Visionary Awards” and six “Tu Música” awards. He has received tributes from the representative of the State of Ohio, Dennis J. Kucinich and the Senate of Puerto Rico. In 1997 he had the honor to liven up at the inauguration of the President of the United States, Bill Clinton in Washington, DC. Also, in October 2009 he was invited to play in the White House for President Barack Obama. His music has received unprecedented attention from major publications and music journals including, Down Beat, Jazz Times, New York Daily News, Jazziz, CD Review, Latin Beat, The Plain Dealer, The Boston Globe, Miami Herald, Austin Chronicle, USA Today and Hispanic Magazine I have 26 recordings as a leader where he has performed with many ensemble formats, duets, trios, quartets, quintets, sextets, octets, strings orchestra, and his favorite, Big Bands.